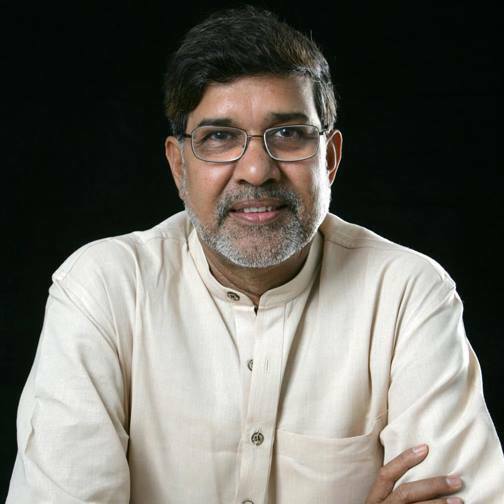 Let’s face this: How many of us knew about Kailash Satyarthi before the Nobel? To be honest, I had read about GoodWeave perfunctorily, but knew nothing about the man behind the mission. Now everyone is talking about “The philosophy and work of Kailash…” This is how the media fails itself perennially. It fails us, too. This failure to recognise talent and good work happens so repeatedly that any constructive criticism about it sounds like a cliché. We keep tumbling over the same follies but fail to reinvent ourselves. In my view, we go fundamentally wrong on many counts. To begin with, we refuse to accept India as a nation riddled with some of the most glaring human rights violations. Once critical analysis and follow-up of our existential issues suffers, we naturally resort to escapism and focus our time and energy on discussing a Bollywood’s star’s cleavage even if it goes against her will. When this is the case, identifying and accepting issues inherent to our own people suffers beyond hope. So the question of creating an atmosphere where activists like Kailash can be nurtured and their work protected, analysed or criticised incisively doesn’t even arise. But we will do everything to pull down do-gooders through our provincial ‘understanding’ of the larger issue and kill their spirit. We take such collective pride in every individual achievement and nationalise it so successfully that even spelling bee contests get Page 1 coverage. We are very poor when it comes to sharing collective guilt and willing to do what it takes to solve the problem. Let’s take up one of the most ‘famous’ issues in India: our roads. They are almost always on a stop-and-go mode. Could automobiles be engineered to better take advantage of this and be more fuel-efficient? How about leveraging the battery power to push the vehicle through such stop-and-go traffic? The bar for this is very low and doesn’t need the battery to drive the vehicle for long distances, but only through the jams. Imagine how much pollution this will reduce! This problem is unique to us. Sure, there are jams in the Western world too, but not the same in terms of frequency, disorderliness and the slow-speed aspects of it. Only the problems and things that the White Man appreciates in us are the things that we are proud of and the things that we put all kinds of wrong attention on. This is one of the reasons why any problem that is unique to us has no hope of getting solved. This entry was posted in Candid Comments, Media Charade and tagged Kailash Satyarthi, Nobel Peace winner. Bookmark the permalink. “So the question of creating an atmosphere where activists like Kailash can be nurtured and their work protected, analysed or criticised incisively doesn’t even arise. But we will do everything to pull down do-gooders through our provincial ‘understanding’ of the larger issue and kill their spirit. Liked the way you expressed on our Transportation needs, Savita. I am sad that our companies simply ape the west and try to be even more energy intensive. We are still using 19th century cycle rickshaw that can certainly deserve some upgrades. Even our e-rickshaws are very badly designed which focus on electric mobility totally ignoring human energy inputs. Even Gadkari wants to manufacture them. Ideal cycle rickshaw should have gears, differential, canopy plus electrical support motor for emergency momentum needs like uphill and traffic lights.